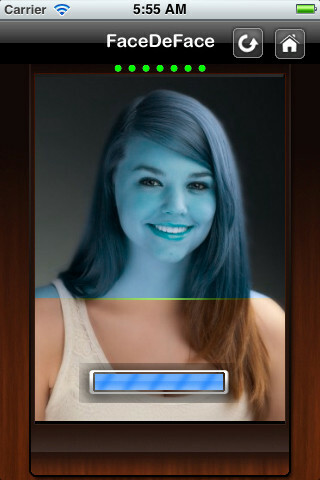 FaceDeFace - Facial Beauty Simplified ! God gave us a face we cant change. But who says we cant Enhance! 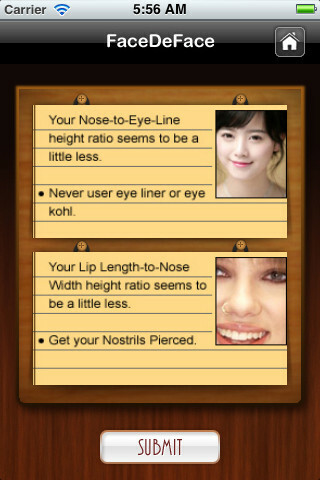 Well, FaceDeFace is the first App that gives 100% accurate face analysis report on the basis of golden ratio, and also suggest relevant yet simple ways to enhance your facial attractive index. 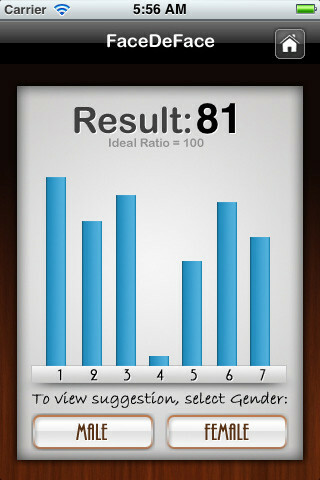 FaceDeFace lets you measure the critical 14 point face analysis, and ranks your face out of a scale of 1-100. More to just the analysis and face ranking, on the basis of your face content proportions, FaceDeFace also runs a Decision Support System based algorithm, which provides tips for the perfection you desire for. -- Easy to Use, with help on Every Step. It's easy to use just by following the steps according to the text given inside the box. 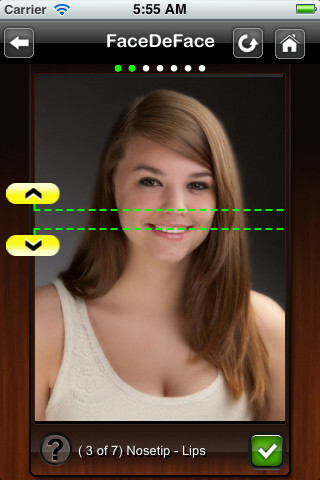 FaceDeFace Analyser : It will scan your face graphically after all the steps done. Results : While some top notch celebrities are seen to rank between 85-95 in FaceDeFace Analysis, normal good looking guys around you may rank somewhere between 70-85. But whatever may be your ranking, don't forget to check the DSS based suggestion by FaceDeFace, to get yourself a better look. 2. Before you start, check out the visual instructions carefully, to know how to operate this App.